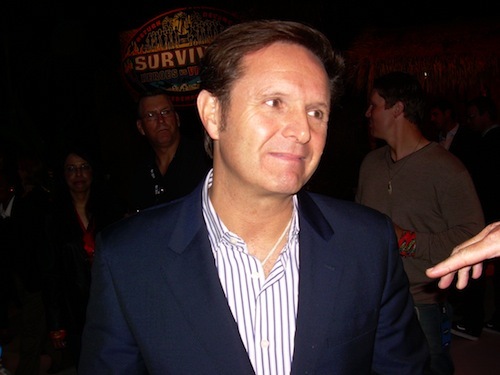 Reality show maestro Mark Burnett has had numerous up-close and personal dealings with a guy who thinks he's God -- Donald Trump. Now the producer of long-running franchises such as The Apprentice and Survivor has agreed to helm The Bible, a new five-part, 10-hour docudrama for History (formerly The History Channel). Burnett, who orchestrated Sarah Palin's Alaska and also currently presides over ABC's Shark Tank and NBC's late season hit, The Voice, will be making a rare excursion into the land of actors and their roles. In other words, The Bible will be scripted and performed rather than populated by contestants who are edited into heroes or villains. Scheduled to air in 2013, the series will be shot on location and "use state-of-the-art visual effects," History said in a publicity release. The network promises "revealing insights into the life and times of some of its (the Bible's) most iconic characters, including Jesus, Noah and Daniel in the lion's den. "The Bible is a sacred text that continues to challenge and inspire," Burnett says. "We've been working on this project for the past two years and are deeply humbled to be given this once in a generation opportunity to breathe new visual life into the Bible's profound stories." History previously ventured into scripted miniseries territory with The Kennedys, which it belatedly rejected after deciding that the eight-hour production (starring Greg Kinnear and Katie Holmes as Jack and Jackie Kennedy) wasn't a good fit for the network's "brand." It wound up airing on ReelzChannel earlier this year, setting ratings records for an outlet that most viewers had never heard of, let alone watched. History president and general manager Nancy Dubuc says The Bible "has the ability to deliver what we hope will be the largest audience History has ever seen." No casting has been announced yet, but Trump presumably will not be playing any of the sanctified principals. ***On a somewhat lesser scale, HBO announced Tuesday that it has green-lighted a new reality series, On Freddie Roach. It's a six-parter focusing on boxing trainer Freddie Roach, a former fighter whose latter day bout with Parkinson's Disease likely is an offshoot of his time in the ring. Directing is Peter Berg, who was executive producer of NBC's acclaimed Friday Night Lights, now in its fifth and final season on the network. The series is scheduled to premiere in early 2012.